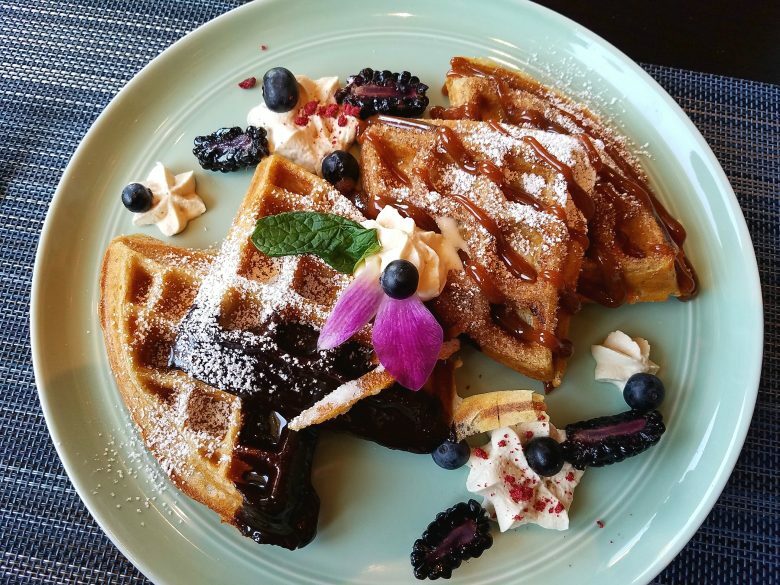 Churro waffles at soca in Raleigh – One of my favorite pics this year, partially because the dish was also fantastic! The lighting at soca was perfect inside and the plate has a lot of texture and color. Shot this one at a near overhead angle, maybe 80 degrees off the table. You know the saying, a picture is worth a 1,000 words and it’s never been more true than when you talk about food blogging or social media. 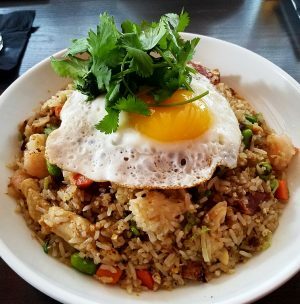 We’ve all been tempted by a foodie photo on twitter or Instagram and every now and then, a really good food picture will make you hungry and salivate. And sometimes I’ll find one of my pics up on a website or in an email to tempt others. Given my background as an amateur photographer (years ago), I’m amazed at the versatility and ease at which we can take food pics nowadays. I remember the days of carrying TWO SLR’s, one loaded with color film, the other with black and white film (OMG). But there are still some basic rules and guidance you should follow to get the best food pics out there, whether you’re carrying an iPhone, point and shoot or full-blown digital SLR. So I thought I’d share some of my top tips that I’ve learned the hard way over the years. Photography is all about light, shutter speed, distance-focus, composition and color, five really important points to consider. And I’m going to assume your auto-focus is working properly on your camera! 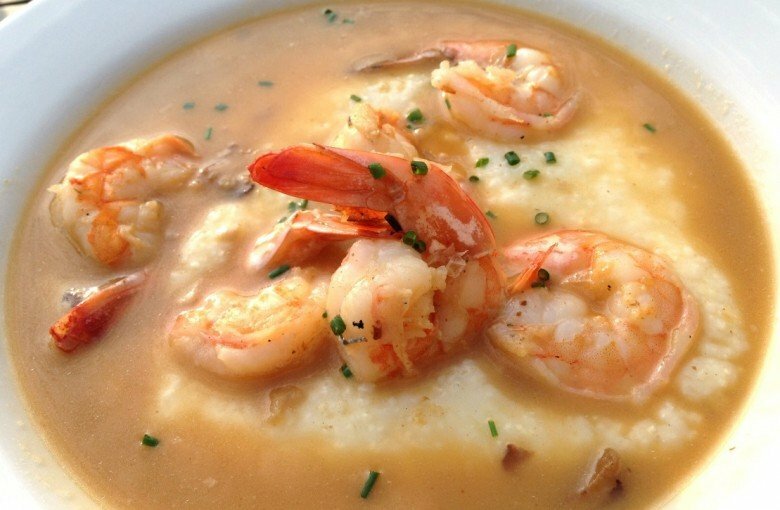 Shrimp and grits at Humble Pie in Raleigh – Love this pic, shrimp and grits are usually basic but the translucent element of the shrimp and broth really pop out here. Pretty sure I was outdoors on a cloudy day on their patio for this shot. First of all, lighting. Light is key to any photography and the more natural, flat light you can get, the better. Too little or too much direct light (bright sunlight) and your pics will not have any color or get washed out. 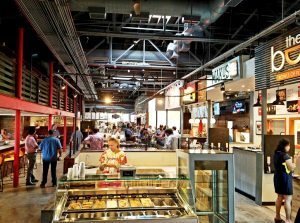 Ideally, choose a dining spot where you’ve got some good, flat and even natural lighting. The right time of day can be crucial here, mid-day hours are usually better. Barring perfect lighting, you’ll have to adjust for low-light situations which is often the case for night-time restaurant visits. So choose your dining spot carefully if you’re really looking to get some great food pics! A seat by a window is usually best or a decently-lit inside table. Watch out and avoid spots with colored lighting and bulbs, they will make it very hard to get a good image. 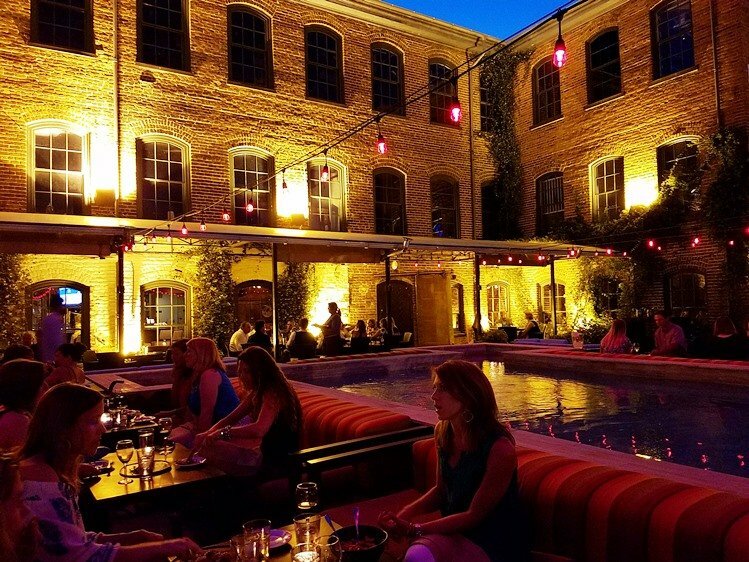 Patio at Mulino Italian Kitchen, Raleigh – A wonderfully lit night shot on their fantastic patio. You can guess I shot this pic carefully with two hands, feet spread apart to steady the lens and with a higher ISO. It came out really sharp which surprised me. The Samsung S7 is strong in low-light conditions. Second, shutter speed. If it’s dark and you shoot at too slow a shutter speed, you’ll get camera shake and a blurred pic which is definitely no bueno. Some options to compensate is to bump up the ISO (film speed) which is tricky on the iPhone but doable on Android. Use ISO 400 preferably, 800 for worst case. At ISO 800 and beyond you’ll usually start running into graininess in your photos. Another way to compensate, is to shoot your pics with a sturdy base. Lean up against a wall, put both elbows on the table and shoot with two hands. With the right physical support, I’ve gotten decent images with longer shutter speeds (1/8 second) that are still usable. Newer smartphone cameras are pretty fast with large aperture lens (1.8 to 2.0) so choose wisely! A larger aperture lens will allow for faster shutter speeds and minimize shake. 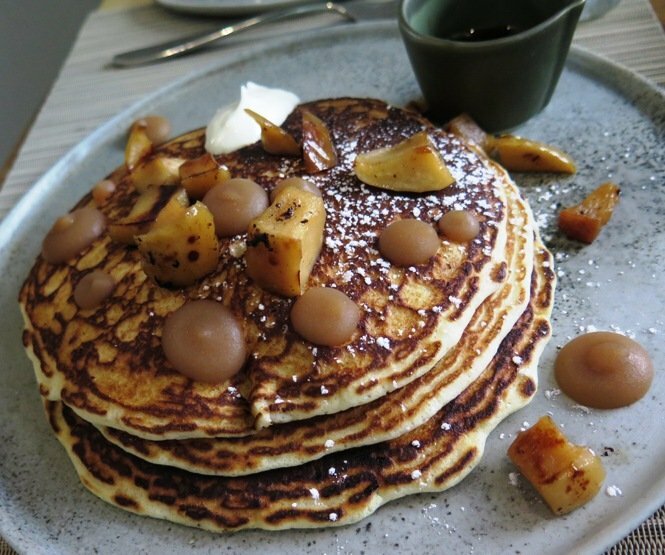 Pancakes with apple at the old Provenance in Raleigh – A nice shot with lots of textures and colors. I wanted to capture the apples on top but to also pick up the layers of pancake so I had to find a compromise angle for both. While it’s a bit mono-chromatic (yellows-browns), I think I got the complexity of the dish. Third, distance and focus. I always suggest getting as close to your food subject as possible to capture the detail but cameras sometimes have problems at close (macro) distances. Make sure you tap where on the image your camera should be focused on when you’re in tight (close to subject). Alternatively, you can try to take a photo at distance and then crop the photo digitally to make it look like it’s “close”. But you will lose detail here, even if it may seem like an easier proposition. 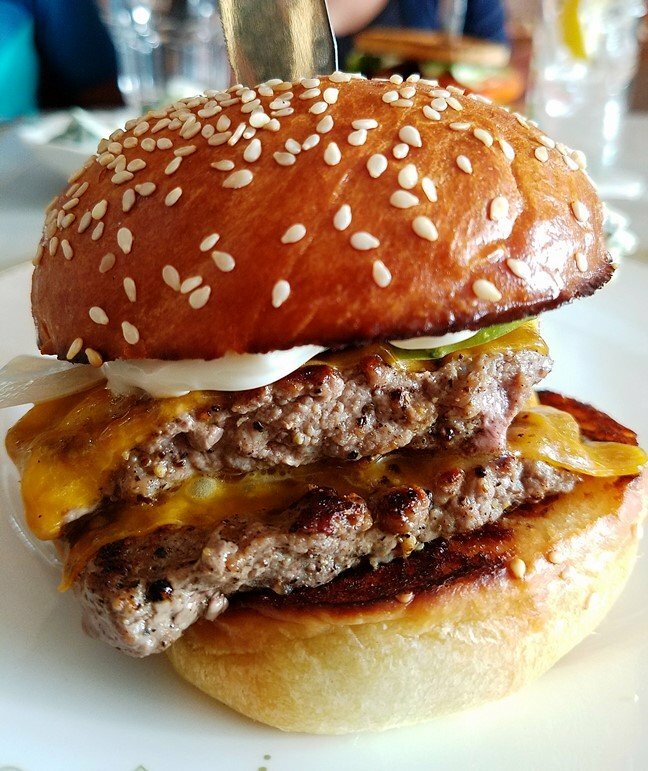 Skillet burger at Kindred in Davidson – Sandwiches are usually tough because the bun covers everything but this burger is stacked just right to open up the insides. 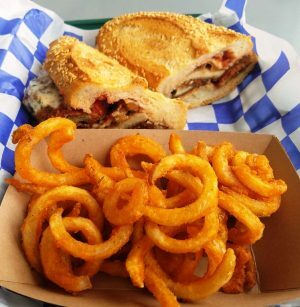 Getting close shows off the melty cheese and textured ground beef, I get hungry looking at this pic! 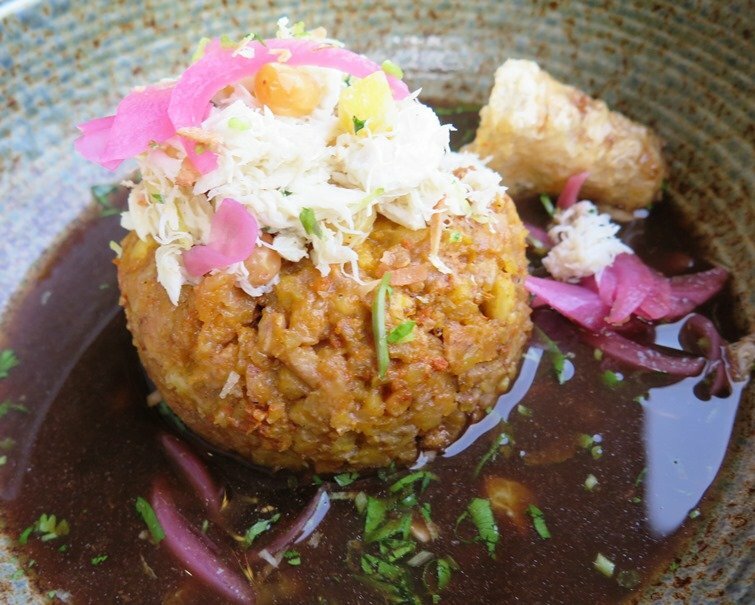 Crab mofongo at soca in Raleigh – soca does an amazing job with plating/color and this crab mofongo shows it off. Great porcelain bowl, creamy rice, white crab with pickled red onions show off a lot of color and texture. And the last and final point, color! Color is so important for any picture but you’re often limited by your subject and lighting. Some dishes are just bland in color (brown, beige, orange, mono-chromatic) and there’s nothing you can do. Other issues are the type of lighting you have (fluorescent, tungsten, colored). Use your Auto-White Balance (AWB) settings on you camera/phone to compensate for the temperature of your light (cool-blue to hot-orange). Good cameras will allow you to set a custom temperature by shooting a white card to set it up. Or avoid the problem altogether by shooting in natural light (see Tip #1). Unfortunately some dishes just don’t photograph well even though they are still delicious! 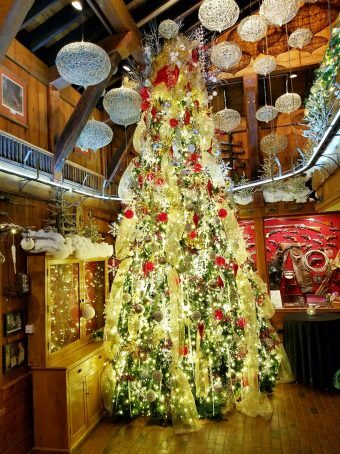 Christmas at the Angus Barn in Raleigh – So much to look at in this frame but shot it hand-held, standing on some stairs. Luckily there was enough light from the tree to allow for faster shutter speeds. Digital photography has totally changed the picture-taking game. Not only because you can take as many pictures as you want and cull out the best ones (volume photography) but you also have the ability to fix/edit photos, in post-processing. I rarely ever use photos I’ve taken, directly into my blog. Normally there’s always some cropping, lightening and color editing to maximize the impact of the picture. And of course, your equipment and smartphone camera. While I’ve typically been an iPhone guy, a switch over to the Samsung Galaxy S7 brought me a slew of compliments on my posted pics. Although I do have interest in possibly getting a Lumix G7 or G85 mirrorless camera sometime, soon. In the end, smartphone cameras are excellent overall and will do a great job 90% of the time. So just practice, practice, practice with your food pics! Eventually the hardest part of photographing a food pic will be holding back on digging into your delicious meal! Five Ways to Improve Your Food Photography! Light – Find natural and flat light, no flashes! Shutter speed – Keep it over a 15th to a 30th second and max, ISO 800. Distance-focus – Stay as close as possible, watch the background! Composition – Shoot directly overhead or at a nice 30 degree angle, find the best view of your plate. Color – Use AWB or set your white balance and edit images on your smartphone if necessary to maximize color. You may need to post-edit on your PC or MAC.